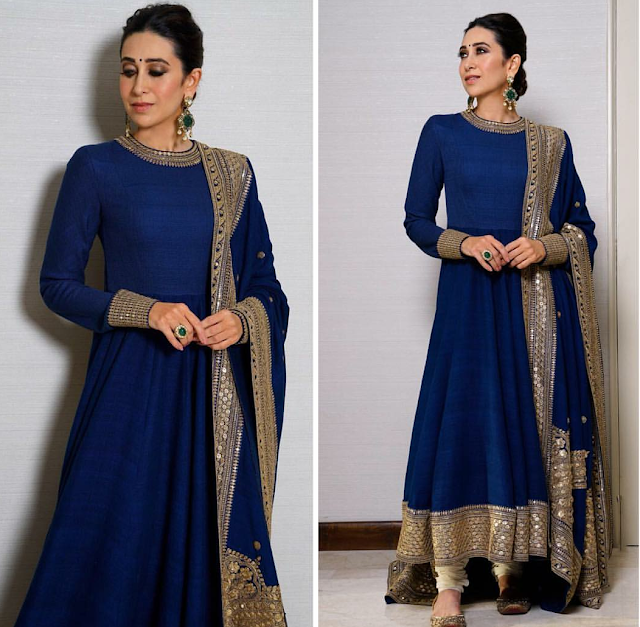 Karisma Kapoor Looks Stunning in This Navy Blue Suit by designer Sabyasachi. Long jhumki earrings, a hair updo and a bindi finished off her look! 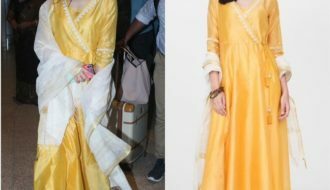 It is difficult to say which one is prettier, the actress or the Sabyasachi ensemble!